This book belongs to the Tapestry of Faith Toolkit Series provided by the UUA Faith Development Office. Toolkit Books provide background knowledge, inspiration, and practical guidance to program and lead UU faith development and to help us explore and live our faith in our congregations, neighborhoods, nation, and world. Offers guidance, suggestions and advice for constructing and maintaining a healthy and spiritually vital youth ministry. Seeing youth as equal participants in congregational life, Schwendeman demonstrates how teens are an enormous generative force for our faith communities and how adults have much to learn from youth about passion, friendship, discrimination, equality, faith and more. 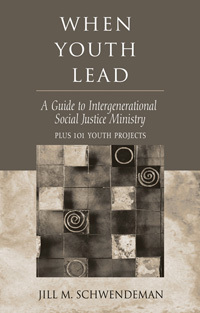 Social justice work is an effective tool for bringing the generations together and the items included in this excellent resource have the potential to build rich partnerships among children, youth, adults and elders. Includes practical tips for 101 social action projects.